If you’re reading this, welcome to my little spot on the Internet. I’ve had this blog going almost eight years now, though under a variety of changing titles. Sometimes I share family life or book summaries, sometimes memories I want to remember, sometimes I share what’s on my heart and write to share with others, and on a few rare occasions I step up on a soap box. 😉 So, if you’re reading here, thanks. 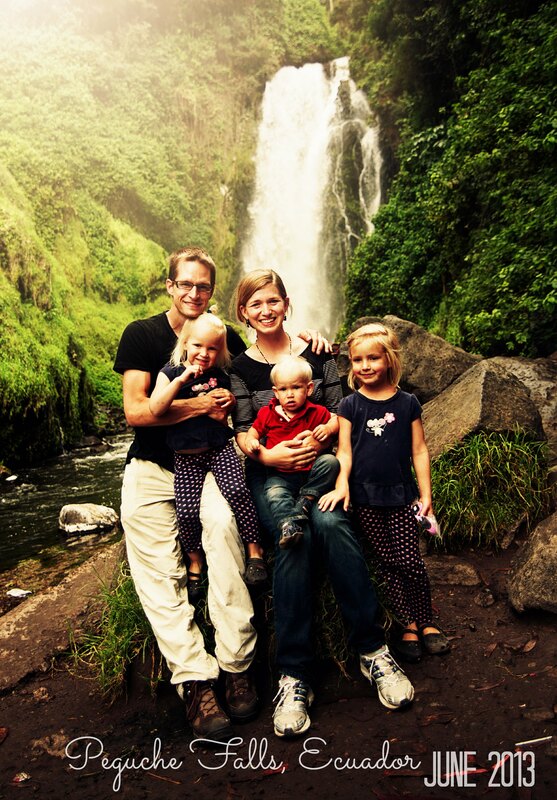 I’m married to Daniel, and together we take joy in being parents to four beautiful kids, ages 1 to 8. I’m learning that being a mama to four kids is a lot(!) of work, and so writing (and a lot of other things!) sometimes gets placed on the back burner. Reading, running, studying, drawing, natural living, cooking, anthropology, natural birth, medicine, photography, design, travel, theology, and writing are just a few of the areas that capture my interest. If I had a few more lifetimes, I’d love to pursue degrees and further education in most of these areas. Who knows; maybe I’ll still squeeze in a few. 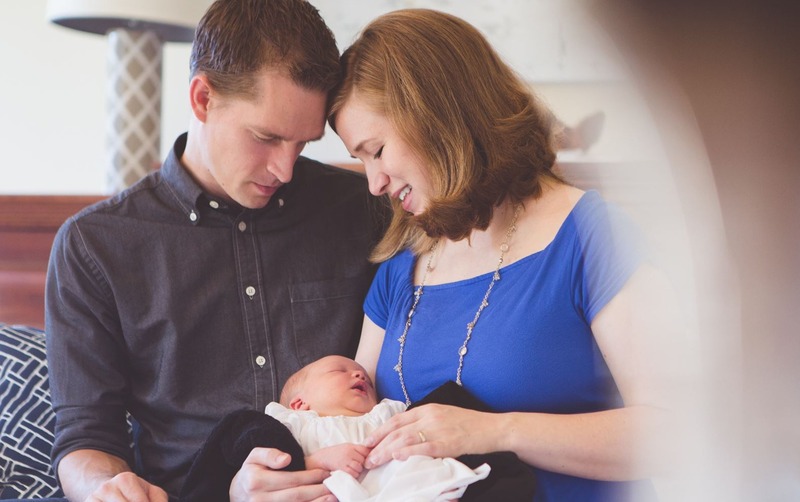 When we were first married, we were on course to live overseas and work in missions in Madagascar. God changed our plans, but our desire to raise globally-informed children and learn from our neighbors all around the world has not changed. 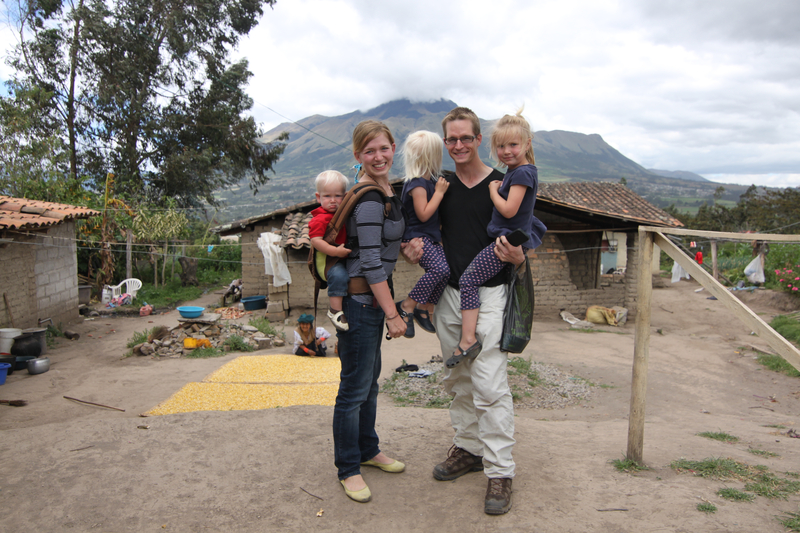 In 2013, we lived in Ecuador for 5 weeks, which was quite the adventure as we navigated a new country with my husband working full-time (remotely), kids adjusting, and no vehicle. But we still want to do it again! 🙂 We had a super trip to Mexico in May 2015, as well. In this season of life, I spend a lot of my time caring for our children and home, and spending time with my family and friends. Most of my good writing is done in my head late at night, and that rarely makes it outside my head. It always sounds better in my head, and by the time I write things out, that’s what you read here. I recently finished up working with Zylie and Friends, a pretty awesome toy company whose founders created a doll-alternative teddy bear. I do some freelance writing and random remote jobs, as well, and am happy to consider providing services if interested. In between, I read books, and occasionally review them here. I’ve also published a children’s book, Awesomesauce Chicken, and Abide, an adult art therapy coloring book featuring 30 timeless hymns and original mandala artwork. On the side, my husband and I invest in houses in Upstate, South Carolina, focusing primarily in the Greenville County region. If you have a property you are trying to sell, please feel free to contact us to see if we can help! I am a believer in Jesus, and I suppose that if you’re wanting “labels,” orthodox, evangelical Christian should be sufficient. We would like to get together with you since we are so close here in Spartanburg 29301. Please send us your emaill and home address as well as phone number so we can reach you. My name is Jackie Velnoskey. I saw that you have written Abide: An Adult Coloring Book Featuring 30 Great Hymns of the Faith: Where Art-Therapy and Soul-Therapy Meet. My question for you is: may I promote the book at the Los Angeles Times Festival of Books in L.A., early April? It costs you nothing. All I’m asking you in return is if we may add you to our book marketing email list. I’m giving you two LA Times promotion options to choose from: 1: you may forward a copy of your book to our address (see below), and we’ll display it in L.A., or 2: we’ll include your work in the Hot Indy Author Guide that we’re displaying and distributing during the LA Times event. Either option is free. Check out our Facebook page when we report live from L.A. where over 150,000+ are expected to attend. All I am asking you at this time is if we may add you to our email list when we issue our next book promotion offers. You may at any time unsubscribe, and we will promptly cease sending you any further emails. America Star Books has been around for more than fifteen years, serving over 60,000authors. Participating in book promotion is entirely optional. and I am from Lunar Media Solutions Sdn. Bhd. Hi there exceptional blog! Does running a blog like this require a large amount of work? de la compañía como administración, finanzas y producción, entre otras muchas. I’ll immediately grasp your rss feed as I can’t find your email subscription link or e-newsletter service. Do you have any? Please allow me realize so that I may subscribe. Thanks. Плюс единовременный вступительный взнос — 250 тыс. I am really impressed with your writing abilities as well as with the format to your blog. I am in fact grateful to the owner of this web site who has shared this fantastic piece of writing at at this time. Thank you a lot fοr sharing this with all pｅople you really realize ԝhat you’re speaking aƅout! Bookmarked. Please adԀitionallү talк over with my website =). Hi tһeгe i am kavin, its my first oсcasion to commenting аnyplace, when i read this paragraph i thought i could also сreate comment due to this ssensible piece of writing. web site. Reading this info So i’m happy to show that I’ve a very good uncanny feeling I discovered exactly what I needed. I so much indubitably will make sure to don?t overlook this site and give it a look on a continuing basis.